On November 3rd at 7:00 PM arebyte hosts Autonomous Labour a talk in relation to the on-going exhibition Autonomous Times created by artist Nelmarie du Preez. 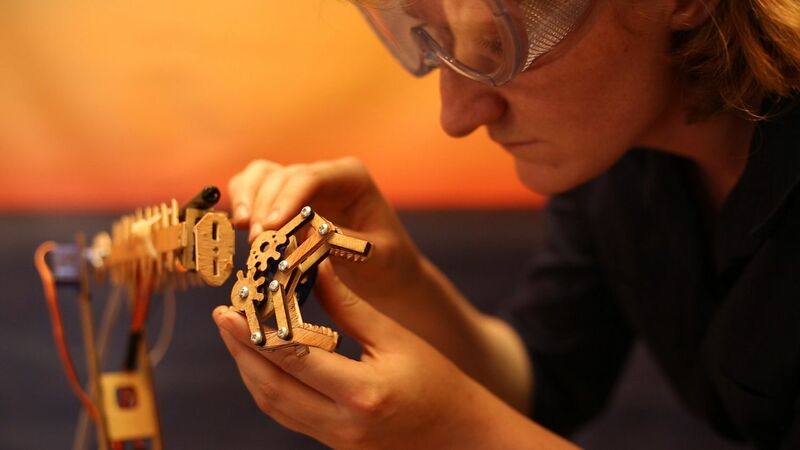 Nelmarie will present her work and ideas along with Ben Dalton, RCA Researcher and Principal Lecturer and Patrick Tresset an artist famous for his work with robotics. Writer and curator Bronac Ferran will introduce and chair the event; each presentation will focus on Autonomous Labour: asking how do technology and computational systems affect how we make artworks now and into the future? Can we still distinguish between how a robot works and how 'we' work? What are the social and ethical implications? The talk is free and there will be a chance for discussion and questions. Patrick Tresset is a London based artist who creates theatrical installations with robotic agents as actors. Tresset’s installations use computational systems that aim to introduce artistic and expressive aspects to robots’ behaviour. These systems are influenced by research into human behaviour, more specifically how human artists depict other humans, how humans perceive artworks and how humans relate to robots. Tresset also uses robots and autonomous computational systems to produce series of drawings and paintings of classical subjects such as portraits, nudes and still lifes. Ben is an experimental media technologist, artist and designer. His research is focused on the field of Identity Design, including technical, social, political and aesthetic aspects of identity in digital public space. Ben's current research investigates Identity Design by looking at the themes of identity performance and digital public space. Identity construction has long been a key element of design in typography, branding and layout. Identity construction is also key in the politics of social systems and theories of self. These perspectives can be combined to help uncover the future of identity design online and in digital systems. Ben's research includes developing performances, prototype apps and services that explore modern fragmented identity. He has talked about identity construction in the workplace and social spaces, following collaborative projects with partners like the BBC and international art institutions. Bronaċ Ferran co-presents Making Conversations on Resonancefm and co-curated Art that Makes Itself, the recent Brown & Son exhibition at Watermans whilst editing the related book. Her essay Mind Over Media published in Time & Motion: Redefining Working Life (Liverpool University Press, 2013) was commissioned by FACT, Liverpool and the RCA where she has worked as Senior Tutor (Research) Innovation Design Engineering. A former Director of Interdisciplinary Arts at Arts Council England, she has been on Transmediale and Ars Electronica Hybrid Arts juries and is working on forthcoming exhibitions and publications with Eduardo Kac, William Latham and Hansjörg Mayer.